This is the 13th piece in the series, ‘Declassified: Apartheid Profits’. While researching the recently published book Apartheid Guns and Money: A Tale of Profit, Open Secrets collected approximately 40,000 archival documents from 25 archives in seven countries. This treasure trove contains damning details of the individuals and corporations that propped up apartheid and profited in return. Many of these documents were kept secret until now. OPEN SECRETS believes that it is vital to allow the public to scrutinise the primary evidence. This week we examine British imperialist and insider Julian Amery, and the secretive network he led that supported apartheid South Africa. International networks of conservative politicians, spies and businessmen often pursue their common interests in tandem. Yet, we rarely think of such networks as physically meeting. As revealed in the book Apartheid Guns and Money, the shadowy Le Cercle (The Circle), a secretive organisation of this nature, did meet. Very often this conservative grouping had support for apartheid South Africa at the top of their agenda. South Africa helped fund the organisation, and hosted several meetings. It was welcomed into this fold by people such as Le Cercle luminary and chairman Julian Amery. Amery followed in the footsteps his father Leo Amery who had been a former British colonial secretary and an ally of jingoists such as Alfred Milner, and rose to become a pillar of Britain’s conservative political establishment. Between 1950 and the early 1990s he was a regular visitor to South Africa, meeting with the business and economic elite. He would on a number of occasions find respite between meeting PW Botha’s securocrats by lounging about Harry Oppenheimer’s Milkwood mansion, North of Durban. He was also a long-standing member of the Monday Club, a Conservative Party pressure group founded to oppose Harold Macmillan’s “Winds of Change” decolonisation policies of the 1960s. The staunchly pro-Thatcher group was a forerunner to Nigel Farage’s UK Independence Party (UKIP) that spearheaded Brexit. While decolonisation swept through Africa, Julian Amery pursued his agenda in more clandestine ways. He did so in part through his chairmanship of the secretive international cabal, Le Cercle. For decades this conservative group has offered an ideological home to many of the world’s most powerful decision-makers who have aimed to influence the West’s security policies. Unsurprisingly, recently declassified South African foreign affairs documents confirm that the apartheid regime had direct links to Le Cercle. Le Cercle was founded in the early 1950s with a vision to unite Christian Democratic Western Europe. By the 1970s, its focus had become more international and by the time the Cold War was in full swing, the group was animated by opposing the spread of communism. This shift was reflected in its membership which, in addition to highly influential policy advisers, now included members from the intelligence sector, many of whom had a close relationship to the arms industry. As detailed in a previous article in this series, The Sanctions Busters’ Toolkit, the Khan Committee was set up in 1991 by FW de Klerk to investigate apartheid’s secret projects. The report characterised Le Cercle as an “informal forum of influential representatives of a conservative cast of of mind from Britain, France, Germany, Italy, Oman, the USA and South Africa”. It concluded that it was a “valuable source of advice and friendship” for Pretoria. The feeling was mutual. Le Cercle benefited from Pretoria’s donations and, in return, South Africa gained access to influential friends and key intelligence. The kind of access that was possible is evidenced by a secret memo sent from the South African ambassador in Madrid to his director-general in 1980. In the letter, the ambassador reports back on a meeting with one of General Franco’s ministers and Le Cercle member, Sanchez Bella. Bella had stressed the importance of attending the next Le Cercle meeting, because a few aides to the newly elected US President, Ronald Reagan, were set to attend. According to Bella, speaking to them “would be as good as discussions with the President himself”. In addition to providing donations, South Africa also hosted several of Le Cercle’s bi-annual meetings. With Oman, it was the only country outside of the USA and Europe to host a meeting. In January 1984, South Africa hosted its first gathering in Stellenbosch. The 30 attendees included former French ministers, German MPs, UK politicians and US securocrats. To create some distance from the government’s involvement, the official host was Le Cercle member and head of the South African Army, General CA Fraser. Despite this, newly declassified documents reveal that the Department of Foreign Affairs planned the meeting, including providing low-priced South African Airways (SAA) tickets and upgrades at no cost. South Africa’s business elite also came to the party to assist. Some VIP guests were accommodated at the Rupert-owned Fleur du Cap residence in Somerset West. Both the head of Anglo American, Gavin Relly, and Barclay Bank’s Basil Hersov received personal invitations to the next Le Cercle meeting planned to take place in July 1984 in Bavaria. Along with Julian Ogilvie Thompson from De Beers and the Rembrandt Group’s Anton Rupert, the four businessmen were thereafter on most Le Cercle invitation lists from that period which we have had access to. The ties between Le Cercle and the apartheid regime were strengthened over the years with two more meetings taking place in South Africa in 1988 and 1991. Much like Tiny Rowland, profiled last week, Julian Amery represents the willingness of the British public and private sector to bolster the apartheid regime in order to serve its own interests. Amery’s links to Le Cercle and to British politics no doubt made him a valuable ally to Pretoria. He exemplifies the hypocrisy of the British government who, despite publicly condemning apartheid, provided invaluable support for the regime. Secret networks like Le Cercle suited the apartheid government of the 1970s and ‘80s. They were adept at operating in the shadows. As South Africa continues to grapple with the twin legacies of colonialism and apartheid, it is essential to battle the return of this type of covert conservative politics. A case in point is media reports that President Jacob Zuma met with a team of Vladimir Putin’s advisers before his most recent Cabinet reshuffle. It is a deeply troubling example of a return to politics played out in secret meetings away from the scrutiny of citizens. This type of deeply conservative and anti-democratic politics suits the corrupt and the well-connected at home and abroad. South Africa has for too long been the playground for elites with imperial ambitions of their own. Our most powerful weapon against such ambitions and abuse of power is our ability to share information, organise, mobilise and use our constitutional rights to protect our freedom jealously. Read more about Le Cercle and apartheid’s network of profiteers in: Apartheid Guns and Money: A Tale of Profit by Hennie van Vuuren, published by Jacana Media. 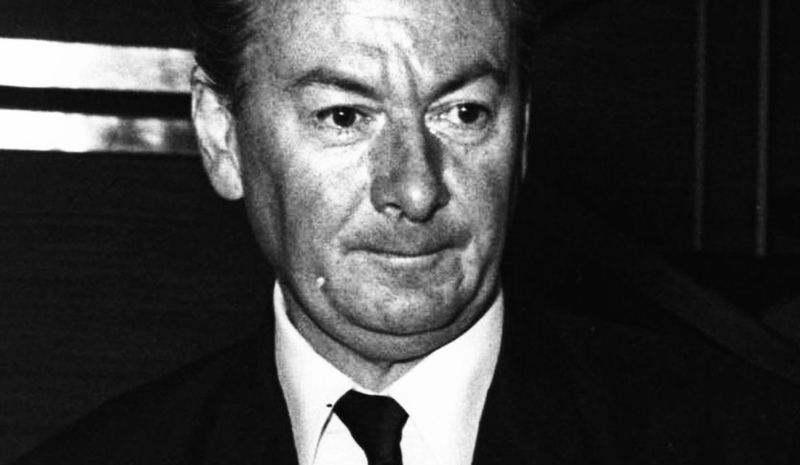 Declassified: Apartheid Profits: Tiny Rowland, a very British spy? Declassified: Apartheid Profits: Who killed Dulcie September? Declassified: Apartheid Profits: Who funded the National Party?